WITH more than one in four fatal crashes on B.C. roads involving driver distraction, ICBC, police and government continue to look for solutions to combat this dangerous driving behaviour that claims 77 lives each year. Crashes reached a record high in 2017, with many of these caused by distracted or inattentive driving. Distracted driving involves any non-driving activity that reduces a driver’s ability to focus on the road or control their vehicle, and is the leading contributing factor in police-reported injury crashes in B.C. As part of the commitment to make roads safer, ICBC is inviting eligible drivers to participate in a telematics pilot project starting this summer. The goal is to determine whether using this technology can improve road safety and driving behaviour for inexperienced drivers in B.C. Eligibility is based on driving experience and will be open to all drivers entering the novice stage of the Graduated Licensing Program and for drivers who have held a full drivers license for less than five years. The project was originally announced in November, and further details, including the telematics vendor, will be released later this spring. The B.C. government, police and ICBC conduct two distracted driving education and enhanced enforcement campaigns every year. The campaigns also include advertising and social media support. This month, drivers will be hearing one united message – take a break from your phone when you’re behind the wheel. 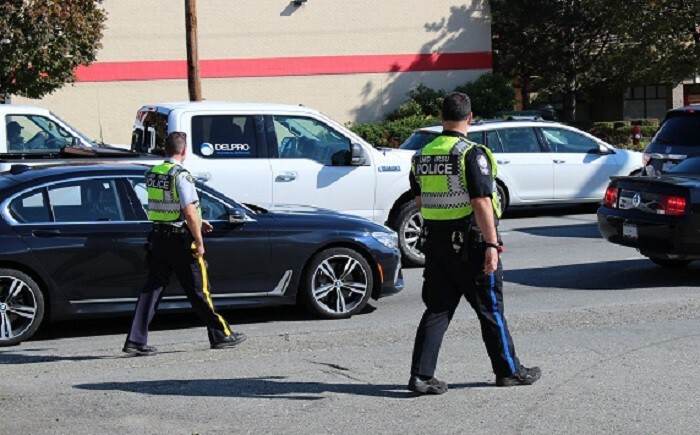 Enhanced police enforcement of distracted driving will take place across B.C., including a province-wide blitz on Friday, and community volunteers are conducting Cell Watch deployments to remind drivers to leave their phone alone when driving. Drivers can do their part by avoiding distractions while driving and encouraging others to do the same. Activate Apple’s Do Not Disturb While Driving feature or what’s similarly available on other devices. Free ‘not while driving’ decals are available at ICBC driver licensing offices and participating Autoplan broker offices for drivers to support the campaign and encourage other road users to leave their phones alone. You can view tips and statistics in an infographic at icbc.com, and register your interest in participating in the pilot project at icbc.com/driverpilot. “Distracted driving endangers the lives of British Columbians with devastating effects for families and communities. It also puts significant pressure on insurance rates. That’s why we introduced tougher penalities for distracted drivers last year. Improving road safety is key to creating a sustainable auto insurance system with more affordable rates for everyone,” said Attorney General David Eby. 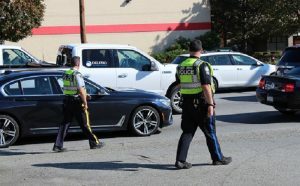 “Since 2010, police have issued more than 370,000 tickets for electronic device use, which tells us that distracted and inattentive driving continues to be an ongoing issue on B.C. roads. Police will be out in full force this month ensuring you to put your phone away when you’re behind the wheel,” said Police Chief Neil Dubord, Chair B.C. Association of Chiefs of Police Traffic Safety Committee. “This telematics pilot project will enable us to better understand the role that technology can play in reducing distraction and preventing crashes for inexperienced drivers. But safer roads start with every driver making a conscious decision to focus on the road and leave their phones alone. You’re five times more likely to crash if you’re using your phone while driving. Let’s all do our part to create a safer driving culture in B.C.,” said Lindsay Matthews, ICBC’s Vice President, Public Affairs.